Home » Uncategorized » How to get to Phu Quoc Island and amazing things to see in Phu Quoc? The Pearl Island in Vietnam – Phu Quoc Island is deserved to be your hot pick for a wonderful journey in Vietnam travel. This famous attraction is located in Kien Giang province. But, how can we get to Phu Quoc is big deal with many tourists. Also, which ideal attractions in Phu Quoc to visit is these two important questions will be answered right below. Let’s explore with TopsVietnam! There are several means of transportation to get to Phu Quoc Island like airplanes, high-speed trains or ferries. Here are some guides for travelers in specific destinations: Hanoi, HCMC, Cambodia, Bangkok, and Malaysia. Hanoi is located in North Vietnam, which is quite far from Phu Quoc Island, Kien Giang province. Therefore, you should choose planes to fly to this Pearl Island. Vietnam Airlines is big flight agent operating daily flight from Hanoi to Phu Quoc every day. You depart at Noibai International Airport and arrive at Phu Quoc International Airport. It is the long run to complete 500km distance between HCMC and Phu Quoc. From Mien Tay Coach Station in HCMC, you take the coach to Rach Gia, Kien Giang province. Mai Linh, Kumho and Phuong Trang are top three best coaches for visitors to choose. It takes about 7 hours to come to Rach Gia. At Rach Gia, you should pick up taxi or bike to get to Rach Gia boat station. After arriving this station, you have to get to Phu Quoc Island by Super Dong or Duong Dong Express hydrofoil. The fastest way to get to Phu Quoc Island from HCMC is airway. Compared with the road, the air is the convenient way to move from Saigon to Phu Quoc Island. Also, you should buy tickets at Vietnam Airlines and Vietjet Air agents at Tan Son Nhat International Airport. At first, you should get to Kampot from Phnom Penh. From this place, you can pick up a moto, tuk-tuk, or taxi to the Ha Tien International port of entry. It takes about $25 and an hour to arrive at the destination. Once across the border, you need to get to the ferry terminal in Ha Tien. It also takes 15 minutes to complete the 7km distance. Then, you have to book your ferry ticket to go to Phu Quoc Island on Superdong hydrofoil. You need to book flight ticket from Phnom Penh or Siem Reap airport to go to Phu Quoc International Airport. The flight stop is Ho Chi Minh city where you can also visit many beautiful attractions. Vietnam Airlines from Vietnam is the preferred agent with suitable fee and timing. It takes about 3h45m to get to Phu Quoc Island. Travelers from Bangkok, Thailand now can get to Phu Quoc by planes. You have to book Bangkok Airways flight that landed at Phu Quoc International Airport. This is the first direct flight from Bangkok to Phu Quoc (Vietnam) which helps to increase tourists to Phu Quoc from Thailand. Bangkok Airways operate four weekly flights on Tuesday, Thursday, Friday, and Sunday. Accordingly, the fixed flight time is 11h30 from Bangkok (Suvarnabhumi Airport) to Phu Quoc and 13h50 from Phu Quoc to Bangkok. It takes about 1 hour and 45 minutes. Kuala Lumpur, Malaysia is 871 km far from Phu Quoc Island. The most comfortable way to get to Phu Quoc is picking a flight in Kuala Lumpur International Airport. You need to go in multiple airlines. For example, flight from Kuala Lumpur to HCMC is from AirAsia or Malaysia Airlines, while flight from HCMC to Phu Quoc is from Jetstar Pacific or Vietnam Airlines. Hanoi or HCMC are the stops when travelling between Malaysia and Phu Quoc Island. Remember our suggested transportation and pick our Phu Quoc tour to discover more. 2. Which beautiful attractions in Phu Quoc to visit? Da Ban Waterfall or Da Ban stream is a long stream originated from Ham Ninh Mountain. It is located near Duong Dong Lake. This point of interest in Phu Quoc Island consists of many flat stones shaped like tables. Therefore, it is a perfect place for outdoor dining. Getting to the main waterfall is quite easy and safe for travelers. The highlight here is a wooden suspension bridge. That bridge is hanging over the stream at the entrance, so you have to go through it and get to the beautiful places of Da Ban Stream. The two sides are covered with forest trees, so the air here is very cool and fresh. Taking pictures at Da Ban Waterfall is a great activity because the scenery is beautiful, poetic. Thus, you will definitely have a photo album with hundreds of impressive images. Tranh stream & waterfall is top natural attractions in Phu Quoc Island. Although not being a big waterfall, it still delivers picturesque look and scenery. Pebbled paths towards the woods, colorful souvenir shops, lots of roadside plants and small streams are all on the road to the waterfall. Then, the Tranh waterfall appears in front of you with utmost charm. You can grasp some snacks and drinks, view the wonderful scenery or go up the hill and stand on the top of the waterfall. Generally, it takes about 20m for visitors to walk from the main entrance to the waterfall. Phu Quoc National Park is one of the ecological places to visit in Phu Quoc Island. This is an ideal destination for visitors because it converges many beautiful features of natural forests, sea, streams, waterfalls, and mountains. Phu Quoc National Park is located in the northeast of Phu Quoc Island. And, it is in the communes of Bai Thom, Cua Duong, and Ham Ninh. From Duong Dong town, you need to follow Duong Dong – Ham Ninh route. Then, tourists will go to Ham Ninh. From here, go back to the north of the island about 10km, you will get to Phu Quoc National Park. 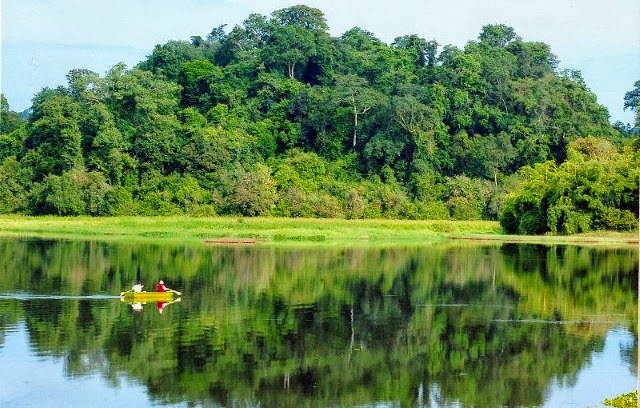 Flora of Phu Quoc National Park is quite rich and diversified. The plants here are mainly evergreen forests grown on low mountains with 1164 species, including: big tree species (mangrove, melaleuca, palm, dipterocarp etc. ), precious orchids (Van Hai, Ai Lan La Dep, Am Lan Nui etc. ), precious herbs (licorice, knotweed,hydnophytum formicarum Jack and Adenosma glutinosum, etc.). Besides, the fauna in Phu Quoc National Park is very diverse. In 30 species of mammals, there are 5 species are recorded in the Red Book of Vietnam such as wild wolf, white monkey, gibbon, etc. In addition, the park has 200 bird species, 50 species of reptiles. 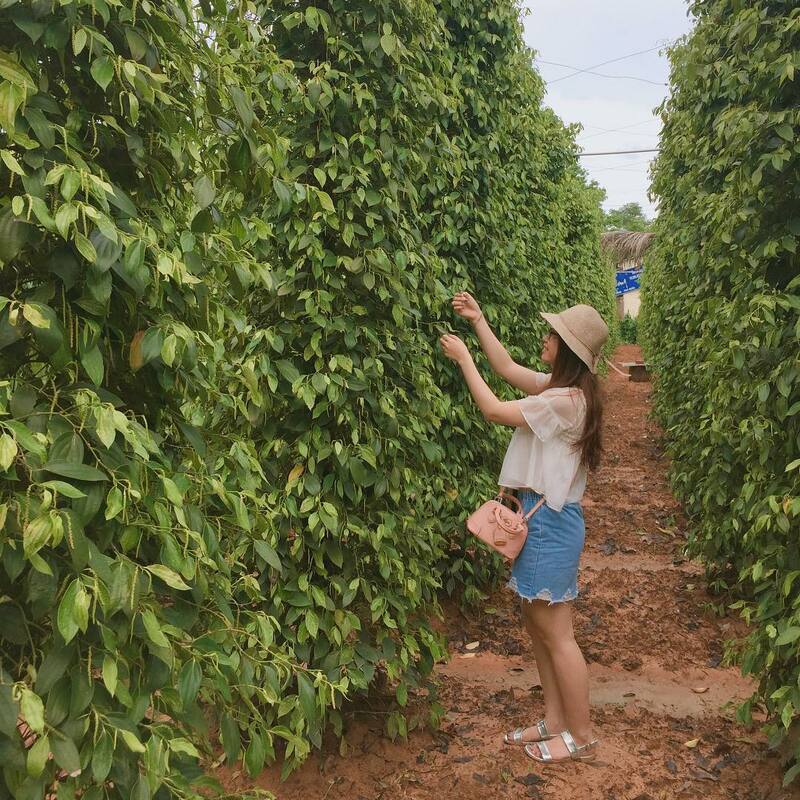 Along 30/4 road towards Bai Sao, there are a lot of Phu Quoc pepper farms for you to visit. Additional, you can buy pepper as a gift or take some photographs in the style of “farmer”. Phu Quoc farmers develop the traditional pepper production to supply products to the market. Also, they are gradually generating the eco-tourism services in pepper farms. Thus, visitors to Phu Quoc Island not only explore the landscapes, enjoy the unique food, etc. but also learn the agricultural culture through pepper farming. 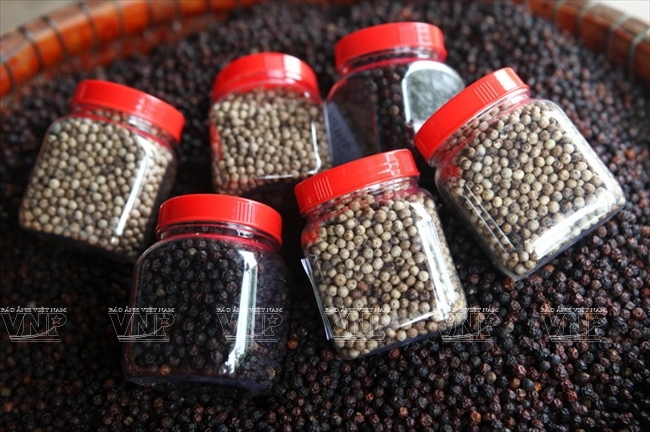 Phu Quoc pepper is processed into many products such as dried pepper, ground pepper, lemon pepper salt, fresh pepper, mainly sold to tourists. Especially, they are also transported to other places such as Kien Giang, HCMC, neighboring provinces and exported to the US, Europe. Do you feel eager to discover more about this amazing island – Phu Quoc now? Let Asiawaytravel help you to choose right transportation and customize perfect attractions in Phu Quoc Island into an ideal trip. But first, give us your time and some further information for this amazing tailor-made tour.